Although it’s never been the dominant program in Microsoft’s Office suite, PowerPoint for Mac has enjoyed considerable success riding on the coattails of its Windows counterpart. But I was disappointed that PowerPoint 2008 ( ), the last major upgrade, missed opportunities to leapfrog Keynote ( ), Apple’s homegrown slideshow software. PowerPoint for Mac 2011 remedies many of my complaints by combining compelling new features with a revamped interface that makes it easier than before to develop dazzling presentations quickly. Microsoft's Ribbon is a core user interface element in all of the Office programs. The Ribbon sits at the top of the document window and provides quick access to the most commonly used tools. Its toolset changes based on what you're working on in the document. I haven’t been a fan of the Ribbon in any of the Office apps for Windows, so I was pleasantly surprised by its implementation in PowerPoint for Mac 2011—the Ribbon provides instant access to most of PowerPoint’s tools and functions without being too obtrusive. A handy new control lets you adjust the size of slides in the Normal and Slide Sorter views. That’s much more convenient than the toolbar’s magnification menu, which is still there. For users who prefer not to reach for the mouse, new keyboard shortcuts let you zoom in or out in 15 percent increments. With these changes, PowerPoint’s view options are considerably more flexible than Keynote’s. Another interface enhancement makes it easier to work with busy slides that contain multiple overlapping objects. In addition to conventional commands that let you move individual elements forward or backward, PowerPoint 2011 sports a clever new view that displays every object on the slide on a series of translucent sheets that appear to float on the screen. As you mouse over each one, it lights up and a number indicating its position appears in the corner. You drag the pane to move the object on it toward the front or back. In addition to helping you keep track of objects on individual slides, PowerPoint 2011 helps you organize complex presentations by placing related slides in sections in the navigation pane. Although you can similarly arrange slides hierarchically in Keynote, only PowerPoint lets you name each group of slides. UI redesign: A new graphical interface makes it easy to rearrange items on a slide. A new Media Browser conveniently consolidates access to photos, sounds, clip art, symbols, and shapes in one place, and PowerPoint offers a dizzying array of ways to manipulate the size and appearance of graphics that you import or generate within the program. Like Keynote’s Instant Alpha, which lets you make an image’s background transparent, PowerPoint 2011’s Remove Background tool lets you select which parts of a picture to retain and which to clear. New options let you crop, color correct, rotate, and add other effects to movies, which are now imported into presentations by default instead of being linked to. You can even choose a picture file as the movie’s poster frame, and you can pause and scrub through movies during a slideshow, a feature that was missing from PowerPoint 2008. Annoyingly, though, you still can’t trim movies by adjusting their starting and ending points, nor can you add sounds that play across a specific set of slides. As in PowerPoint 2008, you define the timing, duration, and order of animations by using the Custom Animation tab in the Toolbox. PowerPoint 2011 fills a huge gap in the previous version’s animation repertoire by adding motion paths, which let you move objects along tracks that are predefined or that you draw from scratch. PowerPoint’s path animation tools exceed Keynote’s in some respects (PowerPoint’s paths are much easier to define and edit) and bring PowerPoint 2011 closer to PowerPoint 2010 for Windows. But I was disappointed that, unlike PowerPoint 2010, the new Mac version doesn’t include an advanced timeline, which displays all the animations on a slide in a graphical timeline format. That’s an unfortunate omission; it’s much easier to choreograph multiple animations graphically than it is to drag them up and down in a list. I was also frustrated to see that PowerPoint’s library of transitions, the special effects that morph one slide into the next during a presentation, still aren’t up to Keynote’s standard. PowerPoint’s dissolve transition is coarser than Keynote’s, and PowerPoint lacks equivalents to many of the stunning effects in Apple’s software. For example, Magic Move, a versatile Keynote transition that moves objects as one slide replaces another, is absent from PowerPoint. 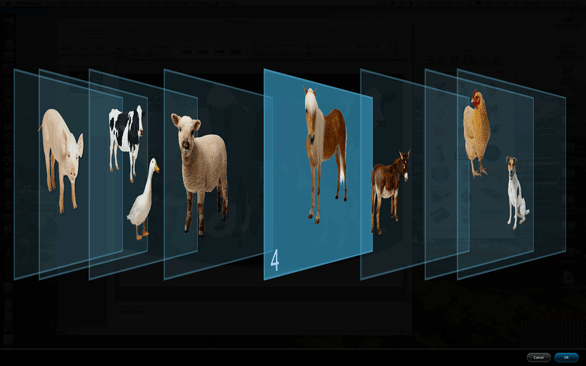 Although you can duplicate the effect with custom animations in PowerPoint, it takes considerably more effort. Animations: To make an object move on the screen, you draw the desired path directly on the slide. Collaborating on a presentation with one person is relatively easy, but it can be complicated if you’re working with a team that’s scattered around the country. Showing your presentation remotely can also be a problem if your audience doesn't use PowerPoint. A new tool in PowerPoint 2011 lets you broadcast slideshows over the Internet using Microsoft’s free PowerPoint Broadcast Service. When you connect to the service using your Windows Live ID and password, PowerPoint uploads the presentation and displays a link that you can e-mail to your audience. Anyone who has the link can see the presentation in a Mac OS or Windows browser, whether or not they have an account with Microsoft. As you’d expect, this method of distribution imposes a few restrictions on your presentation. Slide transitions all are replaced by fades, audio isn’t transmitted, and movies don’t play on the audiences’ computers. It also takes time to upload the presentation, so you’ll need sufficient upstream bandwidth if your slideshow is large. PowerPoint 2011 also includes tools that let several people see and revise presentations on the fly by saving them to SkyDrive, another Microsoft Service that provides 25GB of free online storage. Anyone with permission can view and revise slideshows with a Web app, which provides basic editing tools, or using the actual PowerPoint application. In benchmark testing, PowerPoint 2011 was faster than PowerPoint 2008. We'll provide more detailed benchmark results in an upcoming lab report. PowerPoint for Mac 2011 boasts more than a handful of worthwhile improvements, including greatly enhanced support for QuickTime movies, path animations, features for sharing and collaboration, and an improved interface. Despite a handful of miscues, it’s Microsoft’s strongest upgrade of the program since 2004. If you’re using an earlier version, updating to PowerPoint 2011 should be an easy decision. If you’re shopping for your first presentation software, choosing between Keynote and PowerPoint is a tougher decision. The two programs are much more evenly matched than ever before, each beating the other in some respects. Despite its inferior transition effects, PowerPoint is the better choice if you have to share presentations with other PowerPoint users. 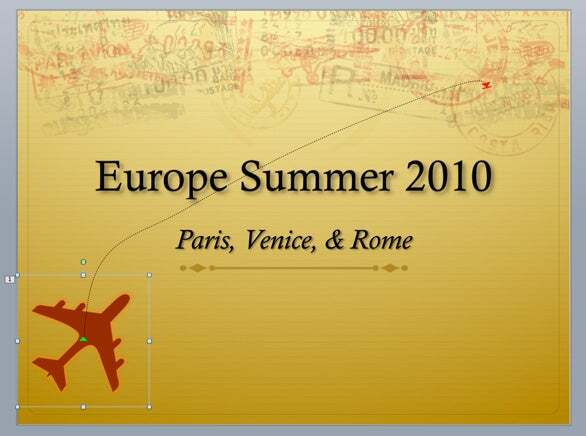 And, even if you’re a die-hard Keynote fan, PowerPoint 2011 is worth a close look. Editor's note: Updated 9/29/10 at 3:45PM PT to remove reference to Ribbon functionality in Windows.